Free BlackBerry apps generally have fewer bells and whistles than other BlackBerry applications, and sometimes it just makes them that much better. Instead of forcing you to wade through dozens of menu options, these applications just do what they say they will without any issues. The top free BlackBerry apps come from every corner of the AppWorld and you are sure to find something you like here. If you don’t see your favorite free app listed, it might be under one of the other sections of this top 50 BlackBerry app series. Time Magazine has long been one of the most trusted names in journalism, and now you can access their stories, lists and opinion pieces through this completely free application. As long as the application is running, stories are downloaded in the background and you can view them whether you have network coverage or not. Having the stories downloaded to the device also means that there is no loading time when you want to check them out.The Time Mobile app gives you the option to share stories by email and Twitter, to help keep your friends in the loop. Get Time Mobile from the AppWorld. Blue Mobile is a remarkable free app that keeps you updated on the world of finance. 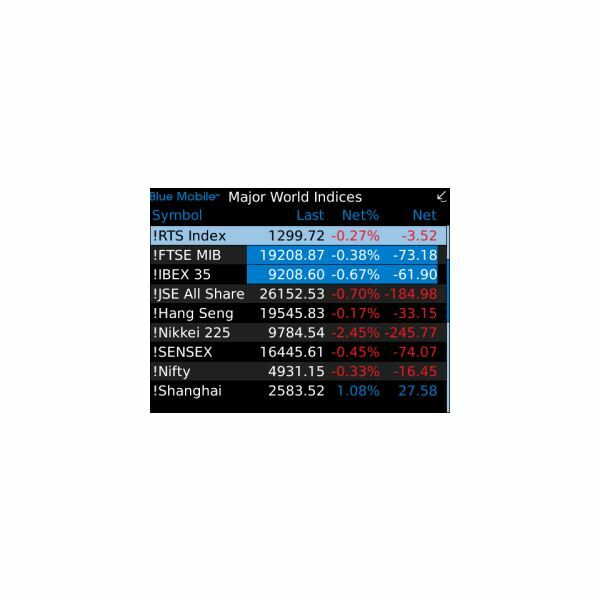 With Blue Mobile you can track real-time prices on stocks, ETFs, commodities and even futures from over 120 markets around the world. The application also offers news items and company financials for many of the listed companies. You can also create a watch list, or even have the application message you when an item hits a certain price. Blue Mobile is one of the most robust financial apps available for the BlackBerry, and it’s free to boot. Get Blue Mobile from the Appworld. Adidas MiCoach is a running application that helps you gain speed and endurance. The app takes a knock for only being available on the 8310, 8900, 9000 and 9700, but its functionality still puts it squarely in the top 10. MiCoach gives you just the right amount of support and coaching as it works you through a running regimen. It uses the GPS to track the distance and pace of your run, and offers you daily workouts. Sometimes the only difference between getting out and running and sitting on the couch is a little motivation, and that’s the biggest thing this free BlackBerry app can offer. Get Adidas miCoach from the AppWorld. Ka-Glom is one of the most fun and addictive puzzle games available on the BlackBerry, and it is completely free. 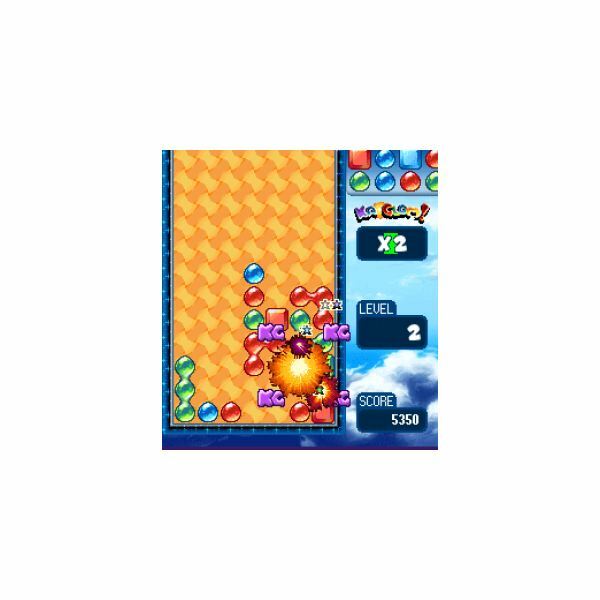 The game is a little reminiscent of Tetris, but you can create massive chain explosions to send your score into the stratosphere. The game has three different modes and an in-game tutorial to help you learn how to play. There isn’t anything special about that game that I can put my finger on, but you’ll be coming back to play it again and again. Get Ka-Glom from the AppWorld. This may seem like an unimpressive app at first glance, but for anyone who has ever tried to manage a shopping list on the BlackBerry notes app, you should stop what you are doing and get this app now. OurGroceries lets you create a number of shopping lists and you can quickly scratch things off with just a tap. You can even link up several devices to use the same list, so if you add an item or cross something off, it shows up on all the devices at the same time, to coordinate your shopping. Get OurGroceries Shopping List from the AppWorld. The KAYAK app connects to kayak.com where you can search for the best travel deals on a number of sites, all for free. You can search for flights, hotels and car rentals in a customizable search engine that you can modify to your preferences. KAYAK also lets you make reservations online, when it is available, or you can let KAYAK use your phone to call the reservation number if you need a question answered before you book. 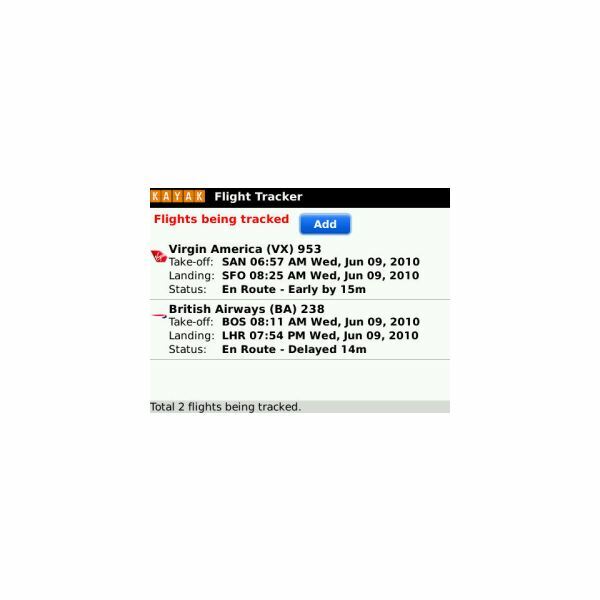 KAYAK also offers real-time flight status, so you will know beforehand if you need to change your plans. Get KAYAK Travel Search from the AppWorld. If you find that your dining experience just isn’t adventurous enough, then you should give Urbanspoon a try. The application uses Urbanspoon’s collection of restaurant information to find you a place to eat based on where you currently are. You can set the neighborhood, type of food and the general cost of the restaurant, and then let the application randomize the rest. This free app is the perfect answer when you can’t decide what to eat. 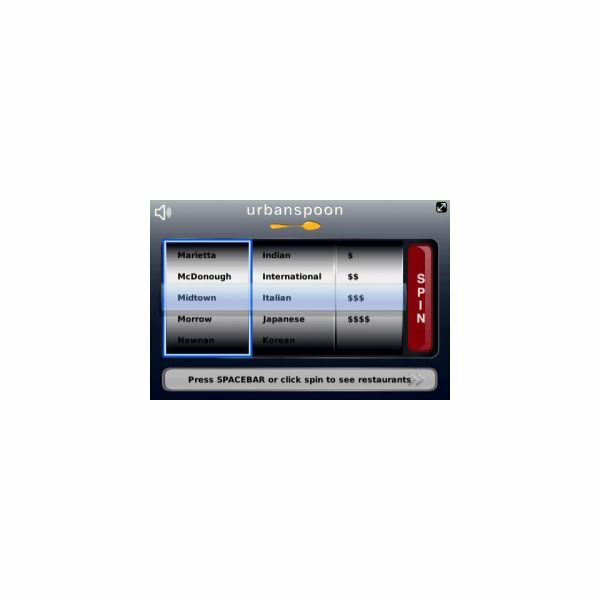 Get Urbanspoon from the AppWorld. Wattpad is a haven for those of us who love to read and write. Wattpad offers access to over 200,000 pieces of prose and poetry, all uploaded by the user base. You can narrow down your search by category and language, or your can search through the top items or some currently featured works. There is even a section where some top publishers will make recommendations. For the writers out there, Wattpad lets you upload your stories to share with the world. If you love to read or write, Wattpad is a must-have app. Get Wattpad from the AppWorld. Pandora gives you access to almost a million songs on your BlackBerry, all absolutely free. Pandora lets you enter a song or artist that you enjoy, and it will create a personalized radio station that you can listen to. As each song plays, you can give it a thumbs up or thumbs down, and Pandora will take this into account when it chooses the next song on your station. Its a nice break for those of us who usually listen to music on an MP3 player, since Pandora chooses the next song from its database you never know what gem it might uncover. Get Pandora from the AppWorld. 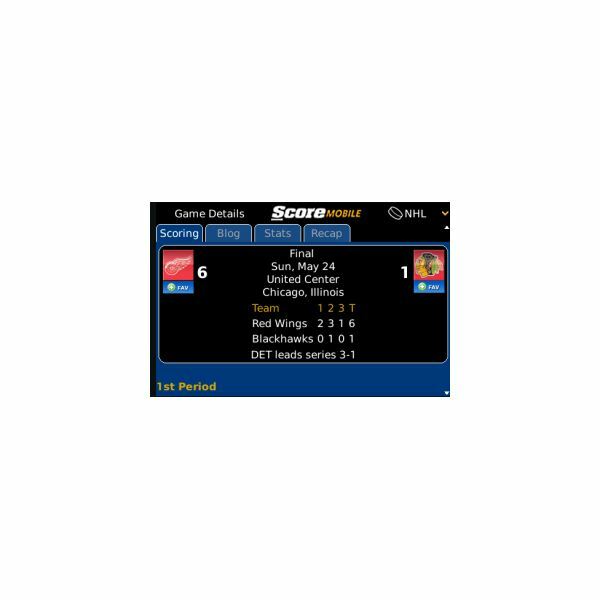 ScoreMobile is the ultimate app for all of us who need updated sports scores while on the move. ScoreMobile gives you realtime scores for almost all of the major sports, and includes player stats, betting odds, game previews and even a live blog for major games. You can set up your favorite teams so you can find their games with just a few clicks. The application can also run in the background, staying up to date on the last game that you viewed. If you love sports, ScoreMobile is the best and quickest way to stay updated. Get ScoreMobile from the AppWorld.